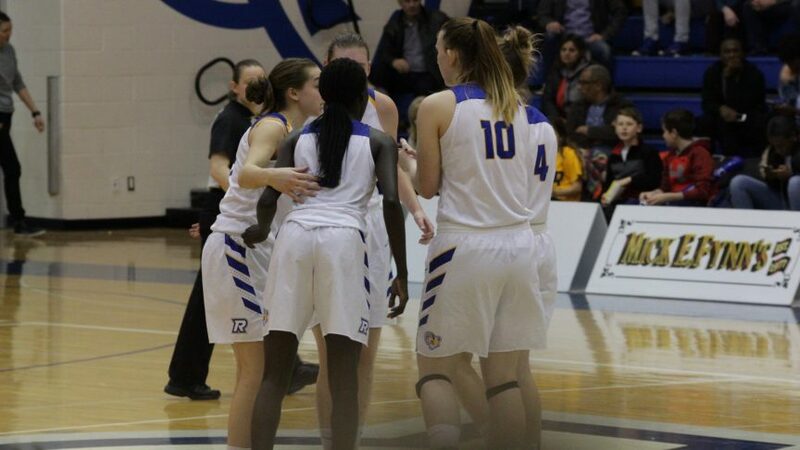 On Friday night, the Ryerson women’s basketball team dropped its third consecutive game, losing 58-62 against the University of Ottawa Gee-Gees at the Mattamy Athletic Centre. It’s the second time in January that the Rams have lost to Ottawa by single digits, with the first loss coming on Jan. 6, when the Gee-Gees won 66-61. The Rams were playing without their best player Friday, as star forward Sofia Paska suffered a concussion on Tuesday and was forced to miss her first game this season. Paska, a fourth-year forward, is leading Ryerson in scoring this season, tallying 315 points in 16 games played. It’s unknown how long the six-foot-four forward will be sidelined. Against a strong Ottawa team, the Rams were given a peek at what life without their go-to player might be like, but they’re confident that they’ll be able to play well moving forward. Although Bin-Edward saw about the same amount of playing time as usual, her role was definitely different, as she was asked to do much more in Paska’s absence. “I think in the second half we really pulled it together and made sure we focused,” Bin-Edward said. In Paska’s absence, Cara Tiemens also stepped up, leading the team with a game-high 17 points of her own. Unfortunately, it wouldn’t end up being enough to secure the win. With the loss, the Rams currently sit fourth in the OUA East. On Saturday night, the Rams host Carleton at home, and whether they play with Paska or not, the team will have to bring everything they’ve got if they hope to compete. In their latest matchup on Jan. 5, the Ravens defeated the Rams 60-53. That game didn’t end how Ryerson wanted, but the seven-point loss was the second-closest scoring game Carleton has played this season; the Ravens have trounced Ottawa by 30, and Nippissing by 56. Carleton is 17-0 so far this season, and with Ryerson’s record sitting at 10-7, a win over the Ravens would bolster Ryerson’s confidence and their hopes for success moving forward. UP NEXT: The Rams will play the Carleton Ravens on Saturday night at the Mattamy Athletic Centre. Game-time is scheduled for 6 p.m.